I've never actually had goulash (maybe because I don't eat beef) but I've pinned this so I can make it some time with ground turkey. Also, I love that your son is named Reid. That's my nephew's name too. I love goulash! A definite 'pin' for Pinterest! Thanks for sharing! Stopping by from Get Crafty! 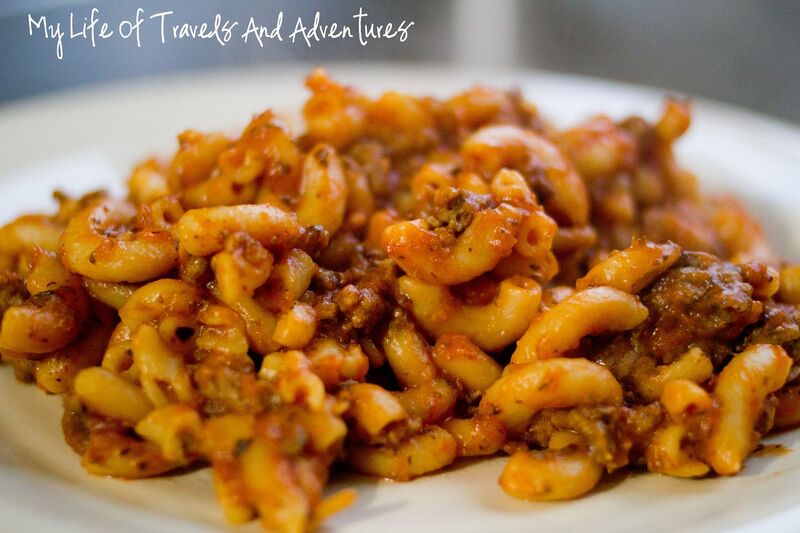 Goulash is a favorite here with our bunch and your recipe looks delicious. The next time I make it we will sure try your recipe. Thank you so much for sharing with Full Plate Thursday and have a great weekend! I love simple recipes too! 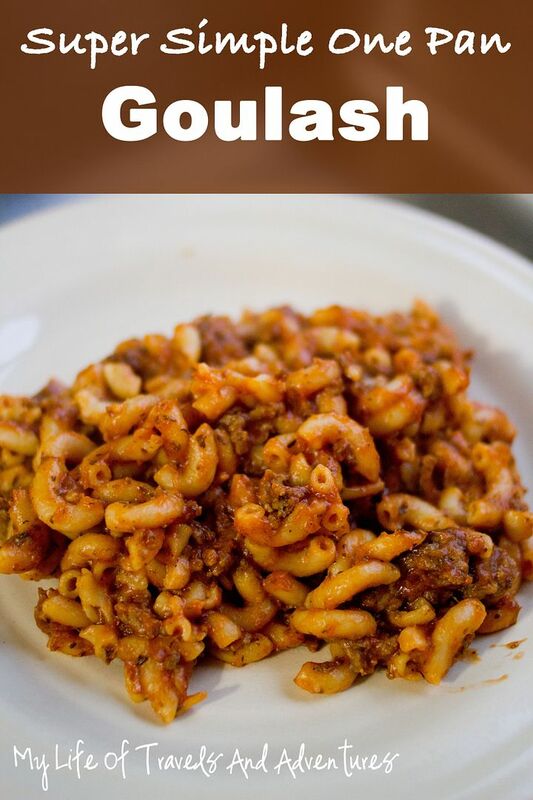 My mom used to make goulash all the time when I was a kid & I loved it. Would you mind to link this to my blog hop? Our readers love seeing easy recipes like this. Thanks!! This looks delicious ... I haven't had goulash in I don't even know! Hi this recipe looks good. I saw it on love bakes good cakes party. I'm your newest fan on Facebook and Twitter. I haven't had Goulash since I was a kid. Thanks for the reminder and for sharing at Fluster's Creative Muster. Now that you found our party I hope that you will continue to join us every Tuesday evening. This sounds really good! My only question is related to the noodles: they don't require pre-cooking? How many ounces for the noodles are suppose to be used? 1 - 16oz Box of noodles. This looks so good. I am sure this is a silly question but I am new at this cooking thing so just want to be sure. Is it 4 tablespoons of oregano and another 4 of Italian Seasoning? Just looked like a lot in the bowl.